A few days ago I was analyzing with a student a quite common minor pieces endgame – one side has the bishop pair and 6 pawns (3 on each flank), while the opponent has a knight and a bishop, while the 6 pawns are divided into 2 on the queenside and 4 on the kingside. It is a very interesting position, where the better side is trying to cash in on the advantage of the bishop pair and pawn majority on the queenside. 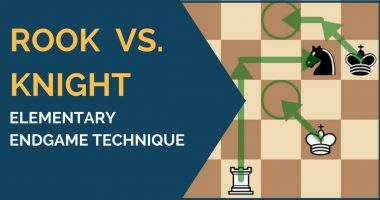 We started to alter the initial position, which led to an important question for the position – which bishop would the weaker side prefer, the light or the dark squared one? What is the best set-up for the stronger side against each one and what is the plan for improving the position? In conclusion, I decided to study this endgame in depth and present you a few examples from practical games. 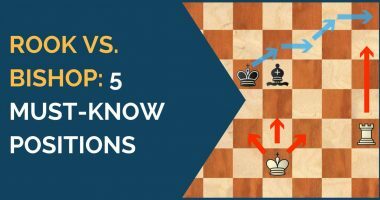 However, before starting to play through them, take a moment to think about this and decide which bishop you would prefer if you were playing the weaker side. This is one of the positions where white has a slight but clear plus; whether it is enough to win against best play is rather irrelevant. 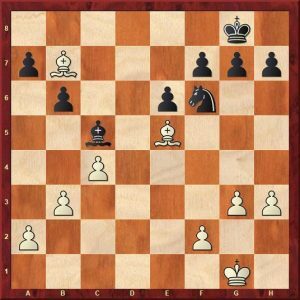 It seems to me that black’s task to defend is difficult for two simple reasons: white will place his pawns on the kingside on light squares with a move like f2-f3 and limit not only the activity of the black bishop, but also his knight’s. 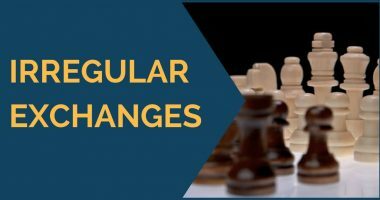 Then and he will centralize his king and press on the queenside with his 3 vs 2 pawn majority, while black finds it difficult to do anything similar on the flank where he has his majority. What if the defending side owns the dark-squared bishop? Would it be easier to hold the position in this case? It seems that black’s task is much easier in this case. He needs to two things in order to equalize in this position. First, white’s majority on the queenside must be stopped, so he will do so by placing a pawn to a5, if allowed. Secondly, he needs to neutralize the activity of White’s bishops. 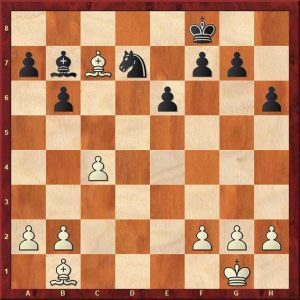 Hence, he can direct his play against white’s dark-squared bishop by placing his kingside pawns on f6 and e5, similar to what white was doing against black’s light-squared bishop in the example above. After all, this has been done, he can start improving his pieces, namely the knight and the king. 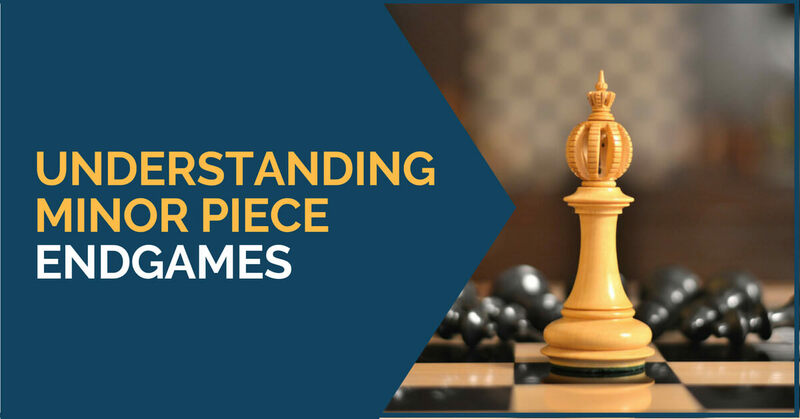 We hope you have enjoyed reading this article and it will help you evaluate correctly if you want to enter into this endgame and, most importantly, which bishop color favors who. It is clear that if black has the light squared bishop the position is better for white, but if it is the dark squared one the position is probably even.